A number of years ago, Patrick found himself at his wits end as the manager of a high successful, but tumultuous restaurant then an event occurred that would change his life forever. Searching for answers to put his life back together he was led to sit in the silence next to lake on a beautiful summer day. The experience that occurred on that day led him down a path of exploration of some of the deepest mysteries of life, which ultimately revealed to him the miracle of life that exists right before us. 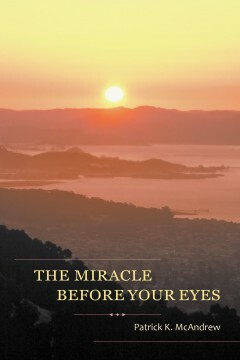 This book shares what can be called mystical experiences, which Patrick had on his journey of awakening to the miracle before our eyes and his insights about those experiences. His openness and willingness to explore these mystical experiences and to allow the insights to unfold opened his mind and heart to other mystical experiences that ripple through the fabric of our lives. Join him in his adventures.